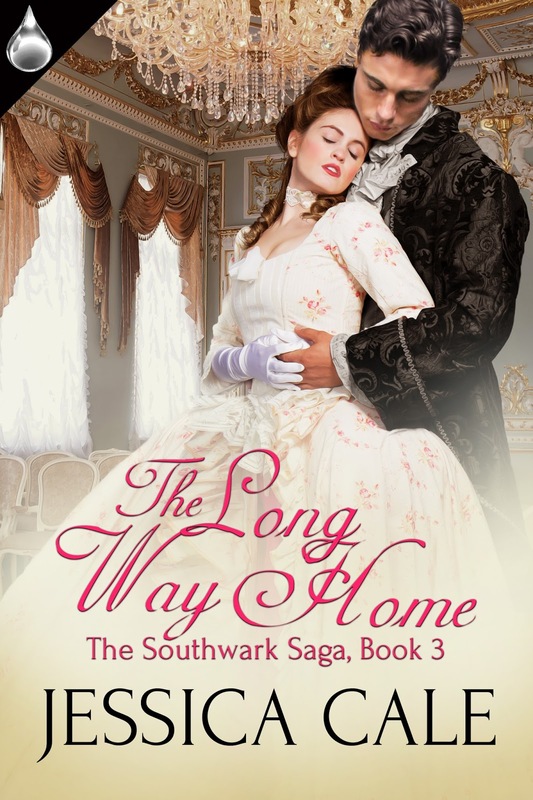 Meet Jack Sharpe from The Long Way Home by JessicaCale. Profession: Officially a soldier, unofficially a spy. Ethnicity/Species (if not human): English...probably. I’m tallish and gawky, with blue eyes and an abundance of curling black hair. I was a carpenter’s apprentice and I have little scars everywhere, but the biggest is a bullet hole beneath my left collarbone. I would never presume to name her thus, though I suppose she is significant. I’ve always had a certain affection for Alice Henshawe. We grew up together, you see, and I seem to have inadvertently married her. You won’t hear a word of protest from me, but it was something of a surprise. What’s there to tell? My mother was an actress and I grew up a pickpocket in St. Giles before Mark Virtue took me on as an apprentice. An...incident...forced me to leave England at sixteen, and I’ve been with the army on the Continent ever since. By preference? I’ve been wearing the same patched clothes for years, but I’d be lost without my coat. My old master’s wife made it for me, and it’s full of secret pockets. It looks like any other coat when it’s on, but it’s filled with all the things I need to survive most any situation. Since I’ve arrived at Versailles, however, I’ve had to wear rather more silks than I’m comfortable with. My friend Achille is a Marquis, and he helps me to choose what to wear to court. I prefer darker colors, but If it were up to him, I’d be in lilac moire and violet hose. I’ll be the one saying the wrong thing. When I’m nervous, I talk too much and too quickly, and I always sound like a right fool. Alice makes me very nervous. I wanted to tell her she looked lovely the other night, and ended up making some inane observation about her shoes. I’m hopeless. I’m quiet, I’m fast, and I’m good in dangerous situations. I can fight, spy, sew up wounds, start fires, and, should the need arise, I’m bloody good with a hammer. I can also make coffee. You’d be surprised how often that’s all you need. I am very good with my hands. I can rob a man blind and be off with his pocket, his rings, and the buttons of his coat before he knows I’m there. This has been useful over the years, but it’s a source of embarrassment that I ever had to learn to do such a thing. I’m also not a bad actor. I drew up backstage in the theaters around Covent Garden and it comes naturally to me. Three knives in my coat, two more in my boots. Two pistols, a spyglass, a map, enough money to get by or bribe a guard, half a dozen lock picks, a set of loaded dice given to me by the King of France, and a miniature portrait of a girl. I see things as very black-and-white. That sounds mad coming from a pickpocket, doesn’t it? Truth is, the laws of man and real morality do not often match, and I live my life according to a very firm set of rules. No one I’ve met treats women with the reverence I do, but it isn’t at all moral the way they’re so often abused. Some might think I take my ideas of morality too far, but I’ve seen too much of the world to not follow ideas through to their logical conclusions. My sister, Joanna. Our mother sold her into service to the colonies when she was ten. Most don’t survive the crossing, let alone the work on the other side. She’d be seventeen now. I want to know if she’s alive, and I want to see her safe at home again. I could have done without the cantarella, thanks! I’m very grateful to you for allowing me to find Alice, but was all that really necessary? I’ve never been so humiliated in my life for such a sustained period of time. Couldn’t there have been an easier--or less traumatic--way to get Alice to finally talk to me? Excited to meet your hero, Jessica! Love Jack and love this book. What a wonderful story and series. Congrats, Jessica. Great interview with Jack. I'm half in love with him already. Best of luck with the book, Jessica. Wishing you mega sales. Love the character interview! And, of course, you know I love your books! Can't wait for the next one! !